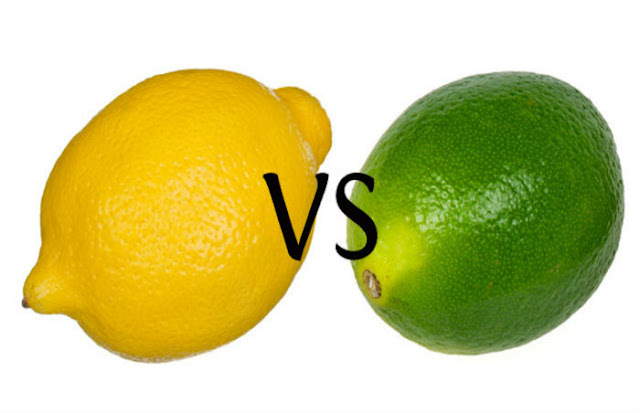 Fun & Inspiration Do You Know The Difference Between Lemon And Lime! Do You Know The Difference Between Lemon And Lime! Lemons and limes are both members of the citrus fruit family, but there are many differences between them. First of all, lemons are yellow and much larger than limes, which are green in color. Moreover, they differ in size, as lemons are oval, and limes are round. Lemons have a sour taste, while limes can be bitter and sweet. On the other hand, despite the differences in size, color, shape, and taste, they share multiple characteristics, as they are both full of nutrients, such as limonoids, that prevent cancer, flavonoids, antioxidants, folate, potassium, and vitamins C and A. Yet, lemons are richer in vitamin C, folate, and potassium, and limes are higher in vitamin A. Both lemons and limes, are incredibly nutritious and beneficial, so you can consume them on a daily basis to support overall health. However, note that the highest concentration of limonene is found in the spongy inner parts of these fruits. Therefore, juice the entire fruit, unpeeled, to get the most benefits. Cut the lemons or limes and put the slices into your juices or water, and reap their countless medicinal properties. Moreover, when purchasing these citrus fruits, choose the ones with the greater number of lines radiating from the stem end, as this indicates a higher content of minerals.